Wiz Khalifa Net Worth Girlfriend, Ex–Wife – Amber Rose, Son, Is He Related To Snoop Dogg? Wiz Khalifa is one is the renown names in the rap world and he has to his name 6 hot studio albums, 16 hit mixtapes, 2 dropped Extended Plays, 79 Musical videos and 1 soundtrack song so far. All these have garnered several nominations and awards from Billboard, Grammy, American Music, and BET awards to name but a few. He is an adept American rapper, songwriter, record producer, and actor has featured in a handful of films including the Mac and Devin Goes to High School in 2012, where he assumed the character, Devin. He was the former husband of model Amber Rose. Read on to get more about his biography, kid, ex-wife and his net-worth among other juicy facts. Wiz Khalifa was born and named Cameron Jibril Thomaz in Minot, North Dakota on the 8th September 1987 to American Military parents Katie Wimbush-Polk and Laurence Thomaz. He has a brother who later changed his sexual identity to that of a girl before death called in 2017. His mum took him to get his first tattoo when he turned 17 years and he inscribed his adopted stage name on his body that same day and from then on the versed rapper has almost covered himself with tattoos which he says holds various meaning for him. His grandparents and uncle were said to be Muslims which accounts for his Arabic names Jibril and Khalifa. He said that Wiz was derived from “Wisdom” while Khalifa means “Successor”. We can also affirm that the names have somewhat been speaking for him in his career. He, however, had his high school education in Taylor Allderdice. The rapper bloomed into the music world after his contribution in an extended play of artists in his adopted hood, Pittsburgh, was aired drawing the attention of the famous Rostrum Record company’s president Benjy Grinberg who reached out to him in 2005 and signed him on for 10 years where they made great and successful music like the Prince of the City: Welcome to Pistolvania Mixtape (2005) and the debut album Prove and Show (2006) which earned a mention in the Rolling Stone Magazine Artist To Watch before they parted ways. In 2007, the American singer signed a fresh deal with the Warner Bros Records where he produced a single titled Say Yeah which was widely received and the song got airplay with the Urban Radio while topping charts. He eventually left the record label before dropping his 2nd Album Deal or No Deal followed by another mixtape titled Kush and Orange Juice in 2010. He recorded another hit song Black and Yellow with the Atlantic Records which jumped to the No. 1 spot in the Billboard Hot 100 and became 6 times platinum certified by the Recording Industry Association of America (RIAA). His 3rd album, Rolling Papers, followed suit in March 2011 and on and on, he kept dropping his masterfully scripted songs till he released his 6th studio album Rolling Paper 2 on 13th July 2018 which peaked at No. 2 in the US Billboards. The albums, Rolling Papers, O.N.I.F.C., and Blacc Hollywood have all been certified Platinum Gold on their release and his soundtrack song See You Again for the 7th season of the Fast and Furious film was not left out, as it held on for 12 weeks non-stop on the top spot of the Billboard Hot 100. The 6 ft 4 inches tall rapper was once arrested for possession of marijuana and he spent a night at the jailhouse before he was released in good time to drop his mixtape. He openly declared his love for the weed which he started smoking since his teenage years. Wiz Khalifa has been honored by the governing council of Pittsburgh who named 12th day of December 2012 after him in Pittsburgh. The event is celebrated every year with rap battles and fanfares. The skilled American rapper has done well for himself in the entertainment industry. He is currently estimated to be worth $45 million; income generated mostly through the sales of chart-topping records, concert, tours, through his appearances in shows or programs ($100,000 per program) and films. He has other side kicks too that adds to his net worth, like his record company – Taylor Gang Records – that produces songs for artists, the sale of branded accessories, and endorsement deals. 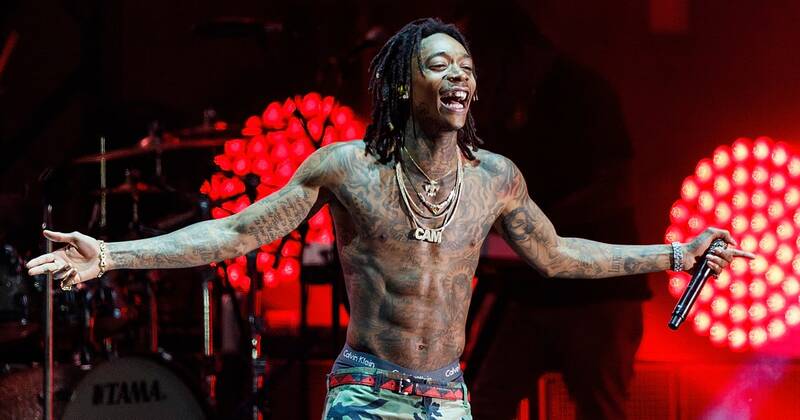 Wiz Khalifa has a magnificent house he purchased for $900,000 in Canonsburg, Pennsylvania, and exotic cars like; Impala and Porsche as well as a private jet. Indeed music has paid him well. Wiz Khalifa has dated models, television personalities and musicians and some names on that list are; Draya Michele, Natalie Nunn, Khloe Kardashian, Marie Becerra, Yoshii, Rita Ora, Indya Marie, Raven Felix, and Izabela Guedes. Most recently, he is said to have hooked up with Canadian fashion model, Winnie Harlow whom he started dating in June 2018. 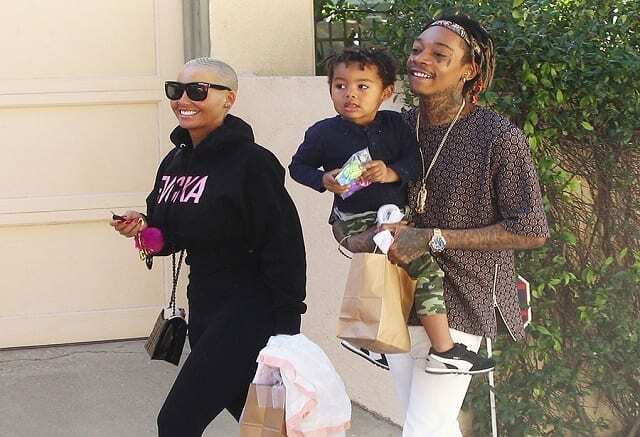 Khalifa was formerly married to beautiful model and actress Amber Rose before she filed for divorce in September 2014 citing irreconcilable differences. The duo met at the beginning of 2011 and after some dates, they got engaged on 1st of March 2012 and they signed the dotted lines of marriage certificate on the 8th of July 2013. Amber Rose has an Irish, Cape Verdean African, Scottish, and Italian ancestry and she was born in Philadelphia on the 21st October 1983. She has one brother named Antonio Hewlett with whom she grew up in southern Philadelphia. As a former model and businesswoman, she modeled for Louis Vuitton’s print adverts, New York Fashion Week and Ford Modeling Agency. She owns her eyes wears and clothing lines. Her divorce with the accomplished rapper was officially finalized in 2016 from which she got $1 million settlement from the rapper and also shared joint custody of their only child, a son named Sebastian. She has long moved on with other men such as American rapper 21 Savage and Alexander Edwards, who is her new found love interest. Read Also: Birdman (Rapper) Net Worth, Relationship With Toni Braxton, Is He Gay? Is He Related To Snoop Dogg? Wiz Khalifa was speculated to have a blood relationship with the iconic rap legend, Snoop Dogg, maybe its because of their look-a-like body structure and lifestyle but one thing we are quite sure of is that the rappers are neither blood-related nor are they hood related as Snoop Dogg is from the East Side of Long Beach City while our dear Wiz Khalifa has often represented the city of Pittsburgh, even though he was born in Minot. The duo, however, share similar interests in smoking, growing special weeds for their consumption and making internationally hit songs and they even featured in a film together in the past.